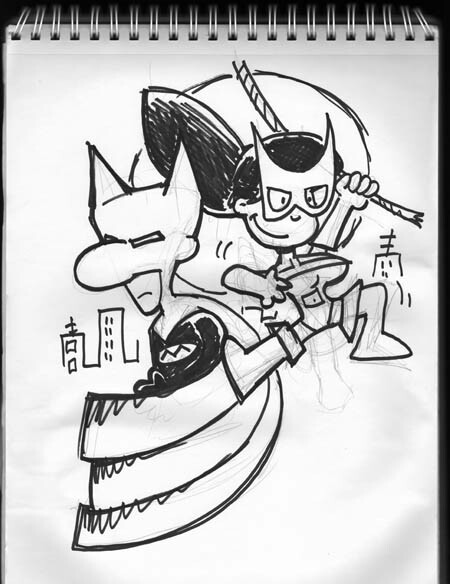 So I’m working on some art for the 15th anniversary of Dork Tower next year. 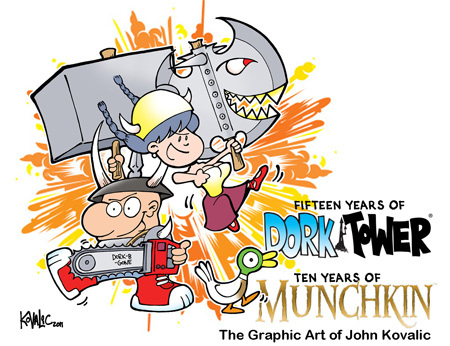 But right now, it’s athe 10th anniversary of Munchkin. So I thought I’d do up some promotional cards and postcards and the like. 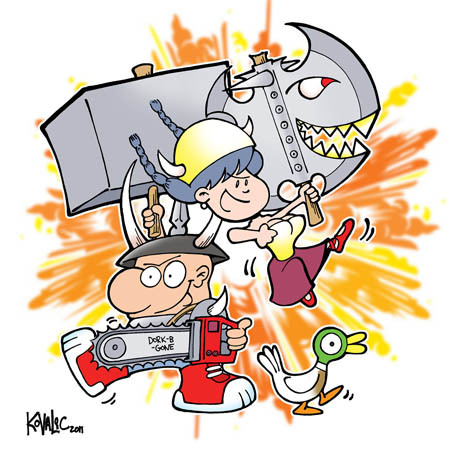 Here’s the art: Dork Tower and Munchkin: two great tastes that taste great together. In both instances, click on the image to see a larger version of it. I’m pleased with the piece. It’s far more dynamic than the original sketch I did for the anniversary.